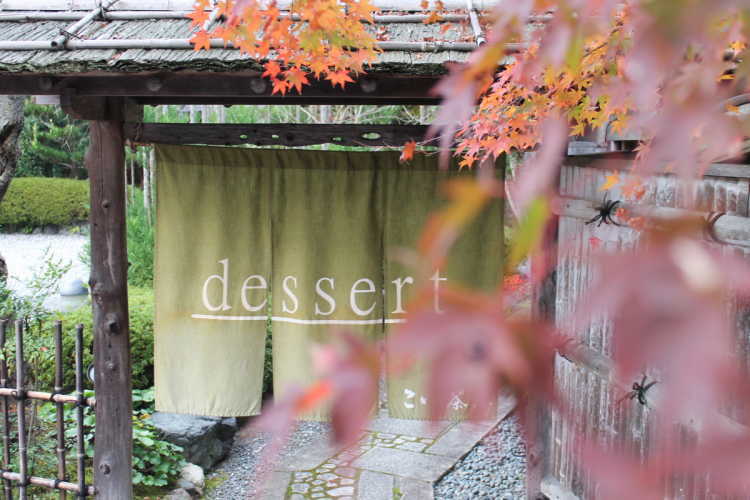 At the foot of Okusaga, Arashiyama, there's a lesser-known café standing calmly. Seasonal superb desserts in front of the beautiful autumn scenery of the vast garden once belonged to a Japanese traditional restaurant. You can have a so blissful and calm time that you may forget being in a busy tourist destination.